Former city parliamentary candidate Ed Murphy said a Daily Mail article stating that Labour leaflets in Polish and English contained many different pieces of information was incorrect. However, Mr Murphy disputes the coverage of events and sent through pictures of his leaflets to the Peterborough Telegraph which appear to show that the English and Polish versions are very similar. The English version mentions both immigration and the NHS, although one of the bullet points in Polish talks about the European Union referendum with the English version instead focusing on child care extension and affordable housing. Mr Murphy is standing for re-election as a Labour and Co-operative member for Ravensthorpe on Peterborough City Council. He said the West branch of the Labour Party had approved publication of leaflets in Polish, Lithuanian and Russian which himself and two colleagues worked on. One of his colleagues, who is Eastern European, then wrote all four leaflets, including the English version, which the trio decided should have one of its lines changed. Mr Murphy, who failed in his attempt to become Peterborough’s MP in the 2010 general election, said: “We thought that child care extension and affordable housing are important issues for people who have lived in Peterborough for some time and can remember when there was council housing. Fellow Conservative John Peach was also heavily critical of the leaflets. He said: “It’s a disgusting deception by Labour saying one thing to a proportion of the population and saying something different to other people. 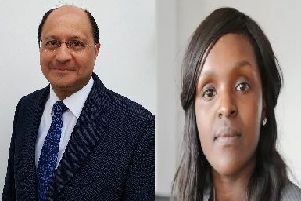 Also standing in the Ravensthorpe Ward are: Roger Hughes (UKIP), Sue Johnson (Labour and Co-operative), Matthew Mahabadi (Labour and Co-operative), Gul Nawaz (Conservative), Mohammed Rangzeb (Conservative) and Samantha Smith Conservative).